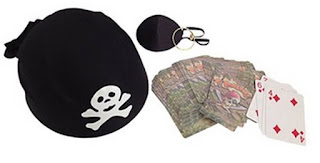 So wish we had this hat back during Halloween time, we did make due with transforming a floppy black hat into a captain's pirate hat but this still would have been nice to have. The eye patch is really nices as well. The earring is a clip on earring so no need for an ear piercing. The card set is nice for playing a quick game of cards before the party or even during. 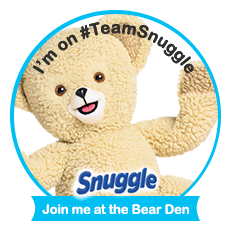 This is a great set for Halloween, Costume Parties, Theme Parties, or even just for dress up. This Pirate set can be found on Amazon. Perfect Pirate Game Playing set. This packaged set is worth getting as a gift for a co-worker, teenager, friend, adult and pirate fanatic. 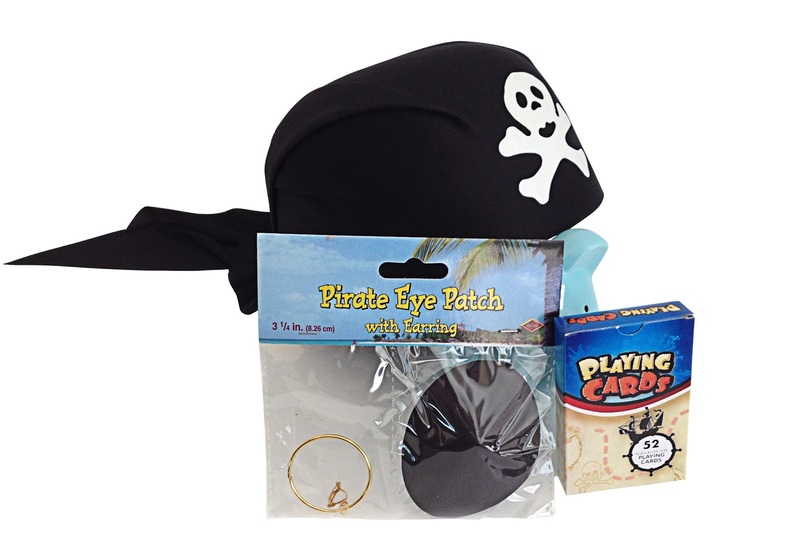 The special element of this bundle is that it has the perfect look of a pirate playing a game and looking the part. The Scarf Hat and the authentic look along with the eye patch and earring also includes 1 full Pirate deck of cards.